This year our borderless, largely volunteer community took you around the world covering more than 2,560 inspiring and heartbreaking stories of creativity, resilience, and resistance, translating them about 10,000 times into 40 different languages. 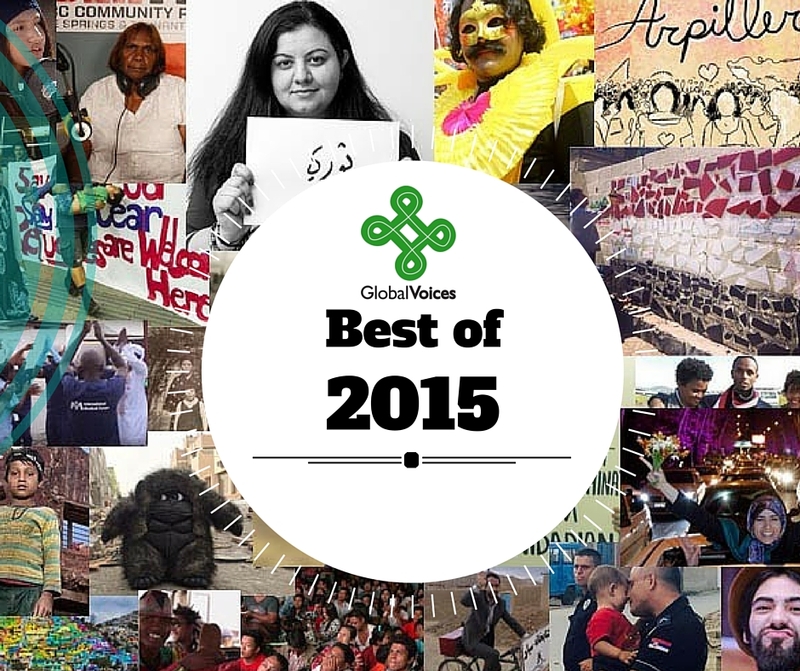 We are reposting some of our most essential and engaging stories from 2015 on Facebook and Twitter under the hashtag #GVBestof2015 and you can also get an overview right here. As Global Voices is a community-driven newsroom, we thought we'd go to the source and ask our editors, authors and translators from around the world which stories published on our site in 2015 were their favorites. This is a a year-end review of our best stories, chosen by our hard-working contributors. Throughout 2015, we published accounts of sorrow, struggle, love and levity from around the globe that were often missed or misrepresented by mainstream media. Take a look at at 32 of these stories from 2015 chosen by our News Editor Lauren Finch that highlight the strength and creativity of the human spirit. Our top seven stories in English were collectively viewed more than 300,000 times with an average reading time of five minutes. Not only did these stories receive the most attention from audiences, they also received hundreds of shares, likes and comments on social media and our site. Collage created by author from screen grabs of GV Faces episodes in 2015. 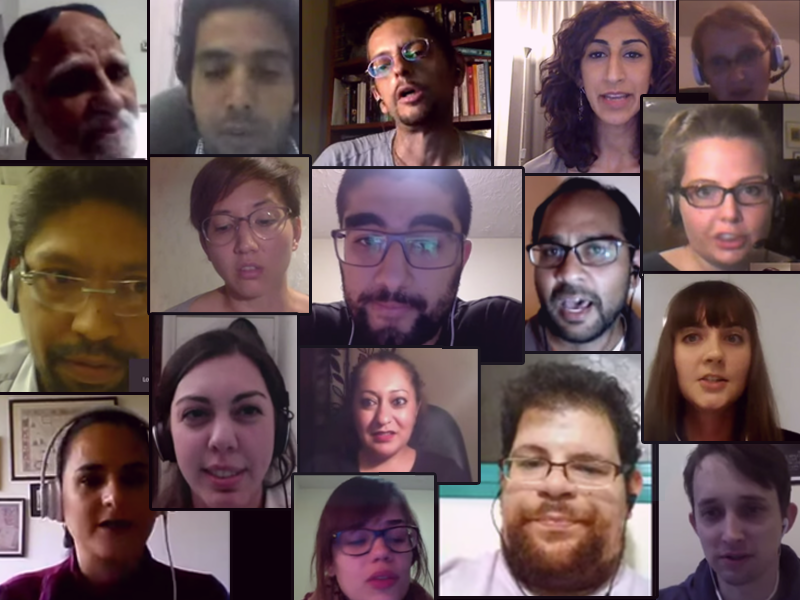 This has been a fascinating year on GV Face, our Hangout series where we try to understand the world through discussions with our on-ground experts — Global Voices community members. The Global Voices in Spanish volunteer translator community published 2,384 translations in 2015. In this article, some members of the community share what translating means to them. In 2015, Turkey blocked 166 websites for publishing one controversial image, Thai activists knocked 5 government websites offline in a virtual “sit-in”, and Mexico spent $6.3 million on surveillance software. Take a look at our Advocacy Director Ellery Biddle‘s review of online censorship and the fight for digital rights. 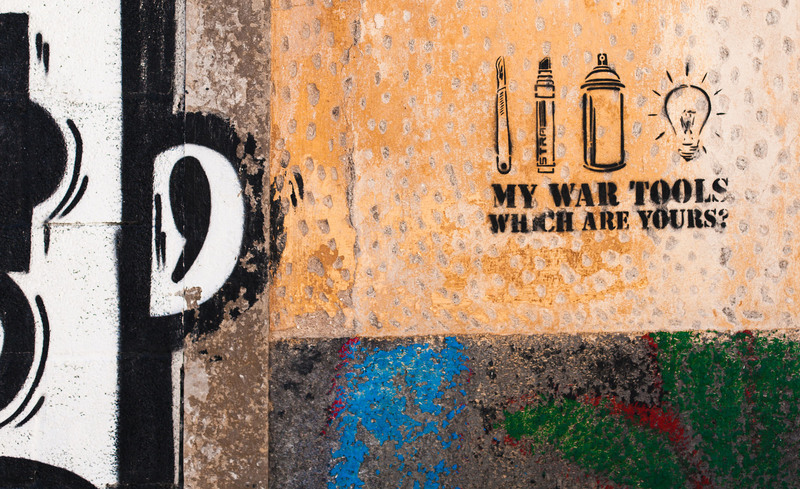 Art is a powerful language that can resonate across countries and cultures, and as such, artists picked up their paintbrushes and pointed their cameras in acts of solidarity, protest and reflection throughout 2015. Here we look back at 16 of them from Peru, Croatia, Egypt, Hong Kong, Brazil, Madagascar, Bangladesh and more. In Malaysia, the prime minister is accused of pocketing more than 600 million US dollars from anomalous bank transactions involving the country’s state-run investment firm. In Thailand, the junta which grabbed power in 2014 is facing allegation that it built a graft-ridden park. And in the Philippines, the vice president is hounded by plunder charges. Mong Palatino, our Southeast Asia Editor looks back at some of the biggest corruption scandalsin 2015. 2015 marked one year since the disappearance of the students of Ayotzinapa in Mexico. In the same year, elections were held in Argentina, Venezuela and Guatemala, among others. The United States and Cuba restored full diplomatic relations, and Uruguayan writer Eduardo Galeano left us. As 2016 approaches, our Latin America Editor May Aviles looks back at the year gone by. From January's Charlie Hebdo attacks in Paris to December's attacks in Bamako and the massacres in Burundi, the headlines in the French-language media offered a deluge of armed conflict, epidemics, and hate speech—with some episodes getting more attention than others. Still, there were also some remarkable stories of generosity and bravery than were less covered in the media. Our French-language Editor Lova Rakotomalala gives us a sneak-peek here. Edited photo shared widely and anonymously online. Think you're a Russian Internet guru? Let's see how closely you've been following the RuNet Echo stories during the past year. 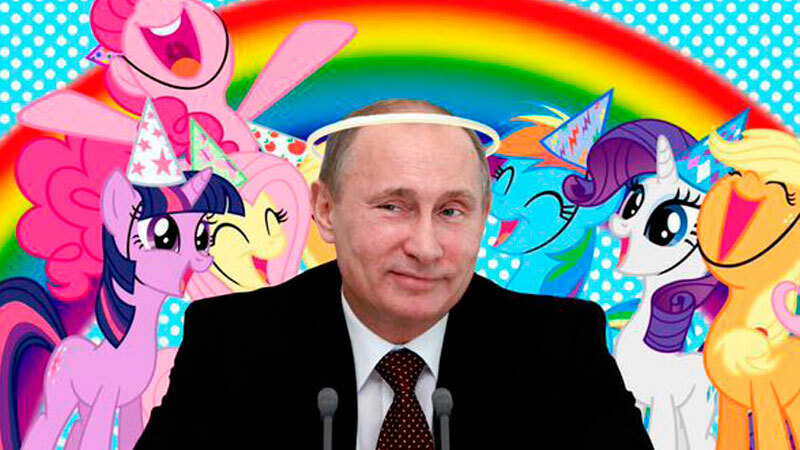 Match our lovingly photoshopped header images to the correct headlines from 2015 in this quiz masterfully crafted by Runet Echo Editor Tanya Lokot. When corruption, regionalism, nepotism are rampant in the country and everybody lies, then there are few other ways out. This is the result of the politics of the ruling group for the last 25 years. If it continues this way, then even ministers will deliver video-messages from ISIS territory. Dear officials, continue your fight against the hijab, the beard, the Azan [call to prayers] and other Islamic items. But it will most certainly come back to you like a boomerang. This year Tajikistan was Global Voices’ most covered country in the Central Asia and Caucasus region, read this story by contributor Winston Obertan to find out why. The victory of Myanmar's opposition over the military-backed party was a significant milestone in the country's history. This and other events that made 2015 a particularly memorable year for the Southeast Asian country of 51 million. We've been reporting about China's “airpocalypse” for the last few years. As 2015 draws to a close we wonder if China's toxic smog and environmental problem will become the “new normal” in 2016 or will the government step up? I have negative thoughts. But if everyone gets positive, I will get the energy to stay positive. This has been a rough year in Nepal, the land-locked country of 27 million people, which shares borders with powerful giants China and India. 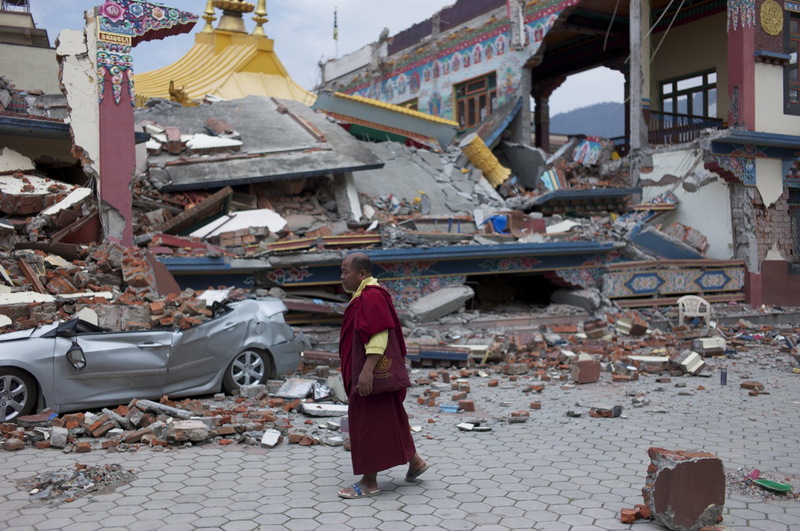 Landslides from a devastating earthquake in April destroyed its supply routes from China, leaving Nepal completely dependent on its 1,751km (1,088-mile) open border with India. But ties with its neighbour India began to sour, after Nepal finally adopted a new federal constitution in September. Our South Asia Editor Rezwan translated this explanatory post by our Nepal contributor Sanjib Chaudhary.